If you’re looking for the latest corporate video trends, here are a few corporate video examples. Viral videos shared on social media take more creativity, along with an added personal interest. Moving into 2019, video content inspired by employees and customer experiences are winning over more audiences now than ever before. Turn leads into loyal customers with this engaging and creative corporate video ideas and content. Not only does Epic understand the latest video production industry trends, we have the know-how and technology to execute them. When it comes to corporate video production, we’re the experts. 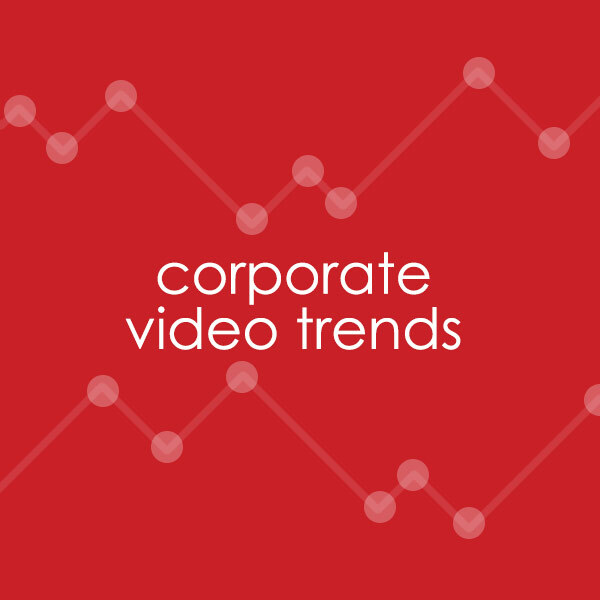 Let’s take a look at some corporate video trends that fill in the gaps to any concerns your customers may have. 360-degree videos receive 29% more views than traditional videos. 67% of the buyer’s journey is now done online. Animated corporate videos not only explain the Schedule Viewer software, it tells a story. It captivates viewers by using motion graphics and animation techniques to bring your project to life. From script to screen, animation videos like these are unique and can appeal to all audiences. This type of storytelling can apply to many different types of industries including medical, education, and the financial industry. Not only does this apply to any industry, it can apply to any type of video you have in mind like marketing videos, sales videos, explainer videos, training videos and e-learning videos. When done right and produced by an animation production company, animated videos are professional, entertaining and informative, all in one video. Animated videos continue to be a corporate video trend because this video content increases conversion rates by 20%. Give your customers and training employees a full perspective. See how brands are using 360 video. This interactive and cool type of video is how companies can mix up their digital marketing strategy. When comparing 360 video vs regular videos, 360 videos receive 29% more views. They keep your audience intrigued for a longer period of time, plain and simple. Internal corporate videos and 360 video tours are hands down the most engaging and interactive form of video. Not only is this video marketing trend extremely popular, it’s only going to continue to grow as more companies reap the benefits. Place your 360 degree video on social media platforms, YouTube, and even your website. Its versatility makes this corporate video trend highly sought after. We don’t know about you, but we couldn’t take our eyes off the screen while watching this customer journey video. Throw in a touch of humor, a generous portion of wit and personality with a solid storyline, and there, you have an informative yet engaging customer journey video. Our client knew they wanted a funny corporate video idea that would surprise viewers and keep them locked in. Some of the best company culture videos captivate viewers from the first frame with a unique approach. According to recent video marketing statistics, a buyer’s journey is now 67% done online. Customers rely on companies to be organized and effectively keep them in the loop from the first sign of interest to being a paying customer. Creative corporate videos, like this one, are the best way to connect with your customers and allow them to trust and invest in your brand. Ready to take advantage of these corporate video trends and stay ahead of the competition in 2019? As one of the top production companies in Arizona, Epic can simplify this process and produce a corporate video that will exceed expectations. Most importantly, we create video production content that is fresh and on top of the latest trends; which is exactly what your audience wants to see. In addition to creating a corporate video, having a cohesive search engine marketing strategy is absolutely crucial. We always get asked, “I have this amazing video, but now what?” The ever-changing digital world is an open door to many incredible opportunities. Let our digital strategists and stellar video production crew help you tell your story, unlike the competition.